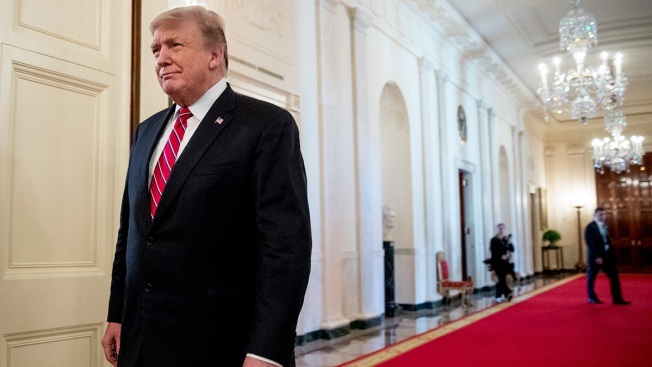 In this April 1, 2019, file photo, President Donald Trump is seen at the White House in Washington. 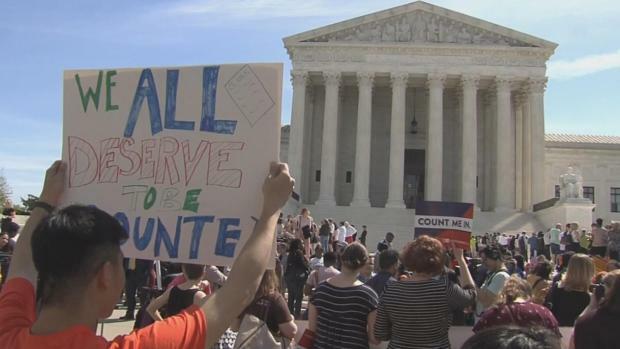 One year out from the start of the 2020 census, Census Bureau officials set out Monday to demonstrate the importance of the head count for all Americans. 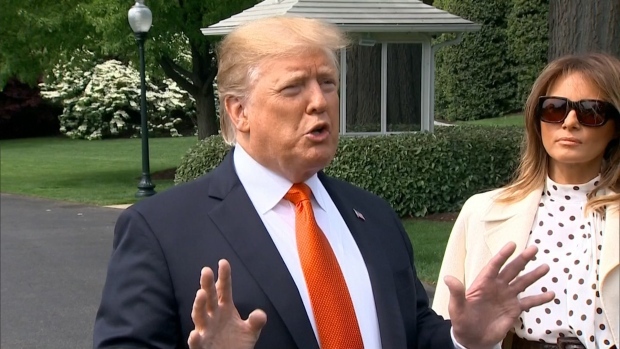 President Donald Trump offered a different message, saying the count will be "meaningless" if it doesn't include a citizenship question. In a tweet Monday, Trump blamed "Radical Left Democrats" for opposing the "all important" question on citizenship. The Trump administration wants to include a citizenship question on the 2020 census. But the idea faces court challenges from Democratic-leaning states and communities that argue it would make immigrants and their families less likely to respond to the constitutionally mandated tally and thus make the count less accurate. The official counting begins on April 1 next year. To mark the date one year out, Census Bureau officials held a briefing Monday to begin raising awareness and project confidence that they're up to the monumental task. Census Bureau Director Steven Dillingham declined to answer a question about the president's tweet, saying "we really want to restrict our comments to talking about the great job we're doing, where we are and how it's going to help this nation." Dillingham noted that the census for the first time will give people the chance to respond online. People can also respond by telephone and mail. He cited how easy it will be to provide requested information and to assure that the information will be secure and confidential. "But probably the message we really want to emphasize is how important it is," Dillingham said. "We now live in an information age where accurate data improves the quality of our lives and supports our thriving economy." The decennial census is used to help determine how about $675 billion in federal dollars is distributed each year. State and local governments use it to make decisions about where to locate schools and health clinics and provide social services and improve roads and bridges. The survey results are also used to distribute electoral college votes and congressional district seats. The citizenship question has been caught up in litigation in federal courts, where lower courts have ruled that the administration's haste to include the question violated federal law and the Constitution. Trump tweeted that without a citizenship question, the "Report would be meaningless and a waste of the $Billions (ridiculous) that it costs to put together!" Against the advice of career officials at the Census Bureau, Commerce Secretary Wilbur Ross decided last year to add the citizenship question to the survey for the 10-year headcount, saying the Justice Department requested the question to improve enforcement of the federal Voting Rights Act. The Supreme Court is hearing the Trump administration appeal of a federal judge's ruling in New York that the decision violated federal law. Since then, a judge in California has said a citizenship question also would violate the Constitution. A resolution of the citizenship matter is needed soon to allow the government to start printing the census questionnaire. House Democrats are also investigating the decision by Ross to add the citizenship question. A congressional panel will consider issuing subpoenas on Tuesday if it doesn't get a commitment from the Commerce Department that it will provide certain documents and witnesses. A Commerce Department official asked Rep. Elijah Cummings, the Democratic chairman of the House Committee on Oversight and Reform, to hold off on considering or issuing the subpoena "while our good-faith dialogue continues." Cummings warned the department on Friday that his committee wanted to know by Monday whether it would produce the documents and witness interviews his committee has been seeking. Michael Platt Jr., an assistant secretary at the Commerce Department, said in a letter obtained by The Associated Press the department believes "the rush to issue a subpoena is premature." Platt said the department's staff is working at full capacity on "both its normal business and its multiple Congressional engagements, and I believe your one-day response demand is inconsistent with your constitutional obligation to accommodate the department." "We respectfully request adequate time to consider your letter and requests," Platt wrote Monday.